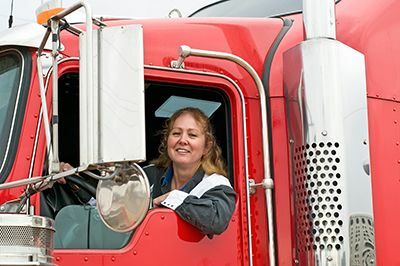 Like it or not, sharing the road with big rigs and large trucks is a necessary part of driving in the U.S. As drivers of passenger vehicles and motorcycles, we must all realize that there is a significant size and weight discrepancy between our vehicle and a semi-truck. In fact, a fully loaded big rig can weigh as much as 80,000 pounds compared to an average 3,000-pound automobile. This means that all drivers need to take certain precautions in order to avoid collisions with these enormous trucks. Much emphasis has been made on truck driver safety in the last decade – and for good reason. Truck drivers are often encouraged to drive fatigued – often well over the recommended hours of service. In addition, truck drivers may drive distracted or even under the influence of drugs or alcohol. Yet, automobile drivers can have a significant impact on trucking accidents. Recently, truck drivers were asked what other drivers could do to help avoid a potentially catastrophic accident. The following tips have been collected from those professional truck drivers. It requires a little extra time and a lot more work for semi trucks to gain any speed, especially when on an incline. You should never tailgate a large truck because it can sometimes cover a few miles before reaching its desired speed. Additionally, governors or speed limiters are often placed on large trucks to keep them from driving faster than the safest speeds for the particular type of truck. If you cannot safely pass a slower-moving truck, reduce your speed to prevent tailgating. Never follow too closely. You will not be able see in what’s in front of the truck and if it has to stop quickly, you will end up in a very dangerous situation. Semi-trucks are built to be tough, and an impact with one will cause far more damage to your vehicle than the truck. Once those big trucks get rolling, it can be tough to slow them down. If you’re ever driving along in front of a semi-truck, bear in mind that the tremendous weight they carry significantly limits the vehicle’s braking ability. Next time you’re sharing the road with a large truck remember to constantly survey your surroundings. Maintain a safe distance from the truck, and never cut in front of one. It takes more time and consideration to pass a truck than a car. Trucks have much larger blind spots, and it will take longer to pass them and return to their field of vision. If the passing lane is not clear from the back all the way to the front of the truck, don’t try to pass. Never linger in a truck’s blind spots, but at the same time, don’t cut in front of them suddenly forcing them to brake quickly. Either scenario could put you in a dangerous predicament. If you are unable to complete your pass swiftly, reduce your speed and wait to pass. Blowouts are another reason to not linger alongside a semi-truck. When the occasional blowout does happen, so much air is released that it could jolt your vehicle. Maintaining a safe distance between you and large trucks will give you time to react in the event of a blowout, possibly saving lives. Sadly, even when motor vehicle drivers and truck drivers exercise caution and obey all safety rules – accidents can still occur. The blame may lie with the trucking company themselves or with the government entity responsible for maintaining the roads properly. When a trucking accident does occur – every second counts. It is important to contact an experienced Colorado Springs trucking accident lawyer immediately so that your attorney can begin gathering crucial evidence. In the days and weeks following a trucking accident, valuable evidence may be lost or even destroyed. As such, it is important to act quickly. Your attorney will be able to gather the evidence needed to build a strong case against the responsible party and ensure that you receive the money you need to fully recover. If you or someone you love has been injured in an accident with a semi-truck or commercial truck, we can help. Contact the experienced Colorado Springs trucking accident attorneys at the Green Law Firm today to schedule a no-obligation consultation and discuss your case. Call us today at 1-719-694-8515.